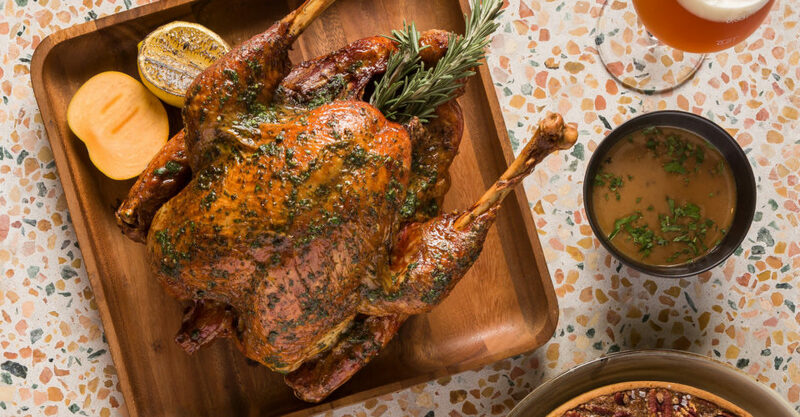 Feast with the Family: For a hassle-free yet delicious Thanksgiving dinner, look no further than Californian restaurant Big Sur, which will be offering dinner takeaway sets. Each set is good for six to eight people, comprising a four-hour applewood smoked turkey served with mashed potatoes, gravy, and an array of sides such as stuffing casserole, salad, and pecan pie. Act fast, though — the takeaway sets are limited to just 30 birds. Where? Pick up your order in Kowloon (Madam S’ate, Elements, West Kowloon), Hong Kong Island (Big Sur, 22 Staunton Street, Soho, Central) or Lantau Island (Bathers, Lower Cheung Sha Beach, Lantau). How much? $1,600 per set. How to book? E-mail [email protected] before November 19. Written by The Loop HK for Woollypig Hong Kong.